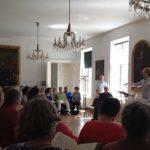 BCCO has travelled overseas and closer to home to sing great choral masterworks. 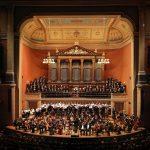 These tours and invitations have provided BCCO community members with profound musical experiences, whether they were singing in England, Hungary, or with the Stanford Symphony. 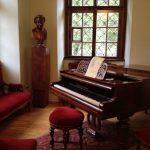 Dvořák’s Piano- Soprano Nancy Brink reflects on visiting Dvořák's piano in Prague. 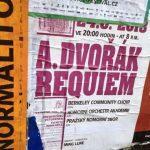 Applause in Prague- I turned the corner during a June 24 walk through the center of Prague and immediately saw a large poster pasted on a city wall: Berkeley Community Chorus will perform Dvorak’s Requiem at the Rudolfinum that evening. 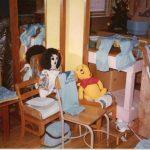 Beauty in Prague: a farewell to Marilyn- A special photo of Marilyn in Prague, from the 2013 tour. Musical Magic working with BCCO- There have been many magical music moments in working with BCCO but these two stand out for me: St. John Passion in the Berkeley Community Theater and Dvorak's Requiem in Prague. 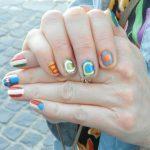 Beautiful Nails- A photo quiz. 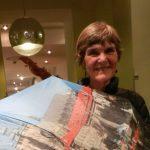 Heart and Dove T-Shirts for the England Tour- BCCO soprano Mary Borders describes the creation of heart and dove t-shirts for a chorus tour of England.